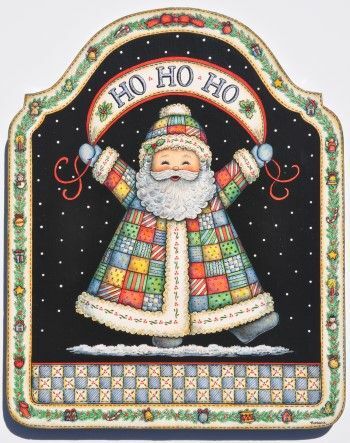 Featuring a happy Santa dressed in a quilted hat and coat and holding a “Ho Ho Ho” banner. It is painted on a wooden plaque measuring 9” x 11”. A pine needle garland border with little ornaments surrounds the design. This e-packet contains: Complete directions, 2 color photos and 3 pattern pages for a total of 8 pages.